← Flattening the Global Innovation Landscape — Part III: What is next? I often find myself explaining to foreign entrepreneurs the concept of an elevator pitch. Since some of you have never heard the term before, I will explain it here today. The metaphor borders on the comical or childish, and the initial first reaction of my foreign visitors to the term is often disbelief. However, they learn quickly that ‘pitching’ is an art difficult to master, especially for some of us––the talkative Latinos! The proverbial elevator pitch gets its name from the opportunity to tell-and-sell your idea/story during a 30-second elevator ride with anybody who you believe needs to hear it. 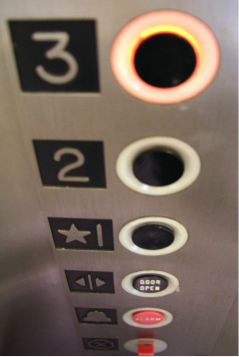 The elevator only has two passengers, you and the target audience of your dreams. You will have their undivided attention for this brief span of time. You must seize the moment. How will you take advantage of it? The 30-second parameter is based on the typical attention span, resulting from the research published by M.O. Frank in his book, How to Get Your Point Across in 30 Seconds or Less. This is one reason why politicians, celebrities and media outlets routinely deliver their messages in sound bites fully encapsulated in 30 seconds or less each! Whether we are consciously aware of it or not, we are always pitching all day long. We do so when we introduce ourselves to new acquaintances we meet in social or business contexts, during sale calls, while recruiting new employees, soliciting support, requesting funding, asking someone out on a date, etc. In each situation we need to identify a “pain”, problem, or personal difficulty, and then respond in kind with a solution. In that process, we need to establish ourselves as credible actors, people that can be trusted to convert proposed visions into actual solutions. Let’s be clear. No multi-million deals are sealed after a 30, 60, or 90-second pitch. Multiple meetings and activities take place for the customer to give you that big order or a venture investor to agree to provide millions of dollars of funding. However one pitch leads to the other and so on. The metaphor of peeling an onion is useful to illustrate an excellent approach for structuring a pitch. Pitching is like peeling the layers of an onion. Each layer exists independently of the ones that supersede it. Each layer can be removed cleanly and independently of the others. Similarly, the multiple layers of your business concept should be explainable/approachable and offered in this tiered manner. As we remove each conceptual layer, we reveal some additional complexity of the business idea, progressing from a high level of abstraction to a low level of abstraction, where the nitty-gritty details emerge in their full glory. This evolution in abstraction needs to be clear and properly managed. Each layer has its own hook and corresponding conclusion that leaves your audience craving more, waiting eagerly for you to peel the next layer of your onion, revealing refined strategies, agendas, and implications. Can you do this? Yes you can, but it is hard work. It requires preparation and there is no room for improvisation! It is working long hours fully understanding your business in detail first and then organizing your script as a sequence of dynamic sound-bites. Your pitch isn’t about you. It is about your audience, and oftentimes making intricate conceptual dives (no matter how profound) will probably bore, confuse, or induce apathy in your audience. Instead, just focus on making the complex devastatingly simple to keep your audience engaged, interested, and asking quality questions. In other words, you want them “buying” your proposition and moving in the direction you want them to move in! Finally, retain control of your audience, because you have a story to tell. Take queues from your audience, and do not be afraid to deliver two hard answers: (1) I do not know the answer YET; and (2) you will have to wait a few minutes for the answer. And do not forget to ASK questions! You have been delivering the elevator pitch of your venture for a purpose and your audience has invested their time in listening to you for a purpose… So do NOT forget or be afraid to ASK them for their insights, responses, musings, etc. If they’re a prospective client ASK what it would take to win their order, if they’re a future employee ASK them to apply to join the start-up team; if they’re a potential partner ASK them to partner with you; if you’re seeking funding ASK for it; and then ASK some more. Just a willingness to ask will bring you immeasurably closer to your goals. Next week, I will publish the second part of this blog-post. In the next installment, I will describe a novel methodology of developing the elevator pitch, by developing a set of reusable capsules. The word pitch or pitching comes from baseball. Often American business English adopts sport lingo to capture the essence of certain business situations or activities. For many of us who grew up with soccer and are now immersed in the American business culture, it has been an experience to learn about “home runs”, “doubles”, “singles”, etc. Muy bueno el post Carlos! Forgive for such short message. Written from my mobile device. very good Carlos!!! In the banking world the “elevator pitch” has a different connotation. It refers to bad quality analyst that simply states that certain items went up or down but fails to explain the reason behind such fluctuations.